Perhaps, it's in 1991's Myanmar. He'll pass matric and marry a wife who gives 10 million kyats. That's the only benefit of his educating in our Buddhist country!" How could I forget each of his? How he made me feel in my boyhood. Ah! How allergic all of his were! The dark pines of our mind dip deeper. Women are widowed and single. Children are lack of welfare. All lost hope and are traumatized. To a group, every string is well-cutted off. And I'm made an incredible illegal immigrant. Verily, I'm made an immigrant Bengali. I'm seen as a Bengali. And now I'm a Bengali. The poet is an original Rohingya. He himself was the victim of Nasaka operation. 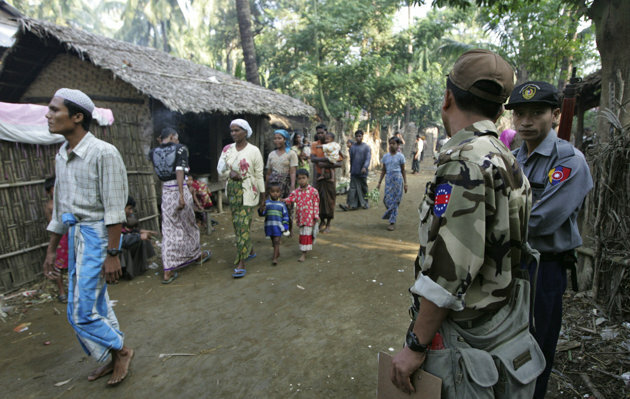 Nasaka, the Burmese term called to Border Immigration Forces. In 1992, it's established by Myanmar's Junta administration to set up the genocidal strategies against Rohingya. After 2012-June violence, it officially came to a halt on 5 of March, 2013. And now it is seen as the Border Guard Police (BGP) in Northern Rakhine State.